Choice Health and Well-Being Magazine Dec-Jan 11 Issue explore the differences DEEP OSCILLATION® is making to sufferers of Lymphoedema. It was the vision of PhysioPod™ UK Ltd that DEEP OSCILLATION® would assist all MLD Therapists to get a better result for their Lymphoedema patients and to reduce the pressure from their own bodies whilst treating. 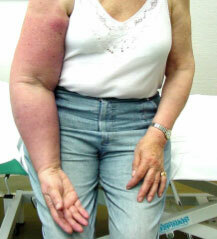 They also hoped that it wound eventually be accessible too as a self-treatment option for Lymphoedema sufferers.